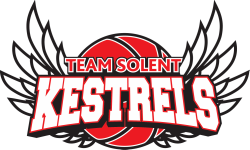 Team Solent Kestrels U16 Premier Boys welcomed the Sussex Bears to Itchen College on 6th October 2018. The first quarter would start with both teams trading baskets and getting a feel for the game. However, some good inside play by George Clark and a deep 3 from Rory Urquhart Hawkins would help the Kestrels go on a 13-2 run. This prompted a time out by Bears to try and stop the Kestrels momentum. However, Jeremy Sochan would come into the game and help push the Kestrels further in front with some nice play in transition. The Kestrels would end the 1st quarter 30-15. The third quarter would see the Kestrels play some of their best offensive basketball all season. Jack Wiseman, Andre Baragan, Zak Riabi and that man George Clark in particular filling the score sheet. The Kestrels would win the quarter 42-13. The fourth quarter would see the Kestrels continue to push the ball and make plays with Zak Riabi in particular finding numerous ways to score. The Kestrels running out convincing winners 125-51. TSK now look forward to two big back to back games this weekend on the road against the reigning National U16 Champions Haringey Hawks followed by a national cup game against Sussex Storm. Led by captain Jack Wiseman the first quarter would see the Kestrels race out of the blocks to take a commanding 14-0 lead prompting a time out from the Royals. The Kestrels would continue to dominate the game after the break thanks to its high intensity trapping press. The first quarter would end 26-6 in the Kestrels favour. In the second quarter the Kestrels took off their full court press, but were still able to push the ball and score well in transition. Zak Riabi in particular coming off the bench to provide an offensive spark. The third quarter would begin quite differently with the Royals getting several stops and scoring at will. Cue Andre Baragan who would help the Kestrels go on another run with some fantastic offensive play in transition. The fourth quarter would see the Kestrels continue to push the ball and blow the lead wide open. Despite a very spirited display by the Royals the Kestrels would run out 105-33 winners. Coach Khalid Missouri had this to say; “After yesterday’s heavy defeat this was just what we needed. We met early before the game and I really liked the fact that the camaraderie was very good between the boys and they were all keen to get on the court and put the previous game behind them. Credit to Winchester they kept working hard and never let their heads go down. We wish them well for the season. Zak Missouri 12 assists and 6 steals. The Kestrels made their first road trip of their u 16 premier league season to Waldegrave School, Twickenham to face the Richmond Knights. Both teams were coming off the back of impressive victories in their opening games of the season. In a packed sportshall with lots of energy and noise the game started off at a great pace with Richmond winning the tip and gaining a break away lay up. The Kestrels came back with a deep 3 from Zak Missouri to momentarily take the lead. However, the Knights came roaring back with some strong play inside and excellent offensive rebounding. The Kestrels tried to find some rhythm in offence, but their shots would just not fall and Knghts took full advantage ending the quarter with a commanding lead of 36-11. The second quarter was a much more competitive affair with both teams trading baskets and the Kestrels doing a better job of breaking the Knights trapping press and defending down low with Sheldon Scott-Andrews in his debut season making some key blocks. However, Knights were still able to get the edge in the quarter winning 21-14. The third quarter was very similar to the second quarter with England u 15 international Rory Urquhart- Hawkins in particular making plays and coming into his own. However, the Knights excellent shooting thwarted any attempt at a run by the Kestrels and helped them to win the quarter 25-14. With the Kestrels well beaten, the 4th quarter was a mere training exercise and formality – the Knights running out convincing winners 101-45. Coach Khalid Missouri had this to say: "Full credit to the Richmond Knights they fully deserved the win. They are big, powerful and very well drilled as a team. I very much suspect they will be the team to beat this season! So far as our boys are concerned, I feel the game very much reflected where we are at as a team right now. We have a number of players who are playing premier basketball for the first time ever so it was always going to be tough playing such good opponents in our first game on the road this season. In addition, we were missing Jeremy Sochan who would have given us much help particualry in protecting the rim and gaining rebounds. I’d like to give special praise to George Clark who despite carrying injuries and clearly not being himself did his very best to help the team. Also Nick Taee did a great job playing good defence, gaining rebounds and getting on the score sheet. We have a lot of work to do as a team, but I’m very confident with this group of lads that we will get better and better as the season progresses – its not how you start its how you finish!" The Solent Kestrels U16s welcomed the London Lions to Itchen College for their first game of the season in the South Premier league. The Kestrels raced out of the blocks with George Clark scoring at ease down low and Andre Baragan making back to back 3s. Reuben Aziz would also help the Kestrels push further ahead with a 7 point spurt that included a 3 pointer. However, it would be the introduction of Jeremy Sochan that would help push the Kestrels to a commanding lead of 36-8 and get everyone off their seats with a breathtaking alley oop dunk. The second quarter would be a completely different story with London Lions playing with great heart and scoring freely. Indeed they outscored the Kestrels team 23-20. The third quarter however, would see the Kestrels step up their defence with Jack Wiseman, Rory Urquhart Hawkins, Zak Missouri and Freddie Horn in particular standing out. A charging foul secured by Zak Missouri particularly caught the eye and energized the team further as they went on a wo a 17-1 run to push the lead to 80-47 by the end of the third quarter. The Kestrels continued their defensive intensity in the fourth quarter and saw some key contributions from Nick Tei and national league newcomer Sheldon Scott-Andrews who scored the last 6 points. The final score being 104-52. Jeremy Sochan 20 points, Andre Baragan 19 points, George Clark 18 points, Zak Missouri 11 assists and 3 steals. Big congratulations to London Lions who never gave up and played with great heart. I can see them improving vastly over the season and being a totally different proposition later in the season. So far as our boys together I thought we showed some great spells during the game. It’s a completely different team this year with players still gelling. Although we struggled in the second quarter I wasn’t unduly concerned as we are trying different rotations and its going to take time for everyone to get used to each other’s games. I have to say I am very excited about what these boys can do as the season progresses. Whilst I am all about the team, I feel I must single out Sheldon Scott-Andrews who I thought was excellent in his first national league game – the ceiling is very high for this young man. Well done!